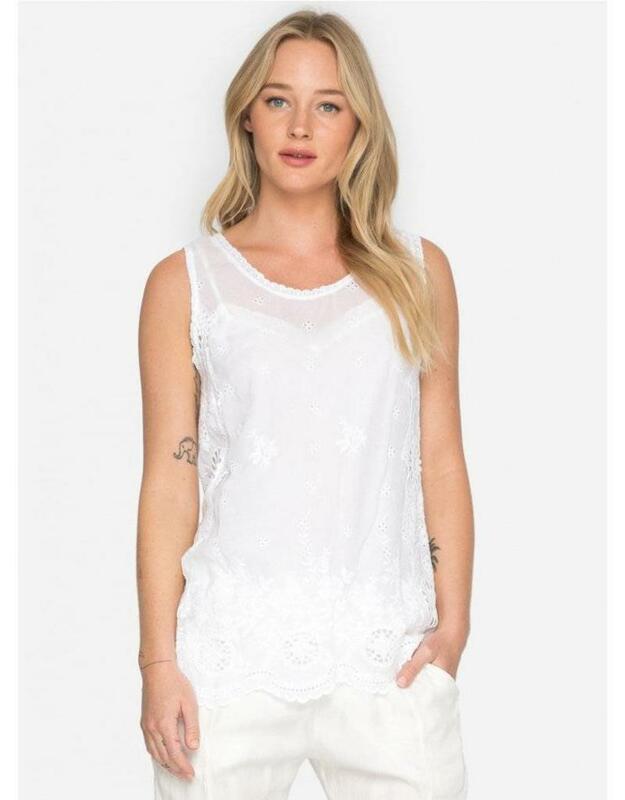 Custom embroidery pairs with unique eyelet designs to create the perfect tank. Crafted from rayon, this tank is ultra comfortable. The eyelet patterning offsets the monochromatic embroidery and cutout design along the bottom hem. The sleeveless style is effortlessly beautiful, making this tank a simple choice for everyday wear. Pair with your favorite jeans or under a blazer or cardigan. This tank is simple to dress up or down, making it a versatile piece that will have you falling in love with your closet all over again.